Give in to temptation with no regrets. Loaded with protein, this 100-calorie bar indulges your taste buds with the sweetness they crave and gives your body the protein it needs. Plus, it's peanut butter. Enough said. Each bar has 10g protein to help keep you fuller longer. Low fat (3g), zero trans fats, 3g sugar and 10g carbs per serving. Delicious and convenient, these bars are great for busy people. View More In Energy & Nutritional. 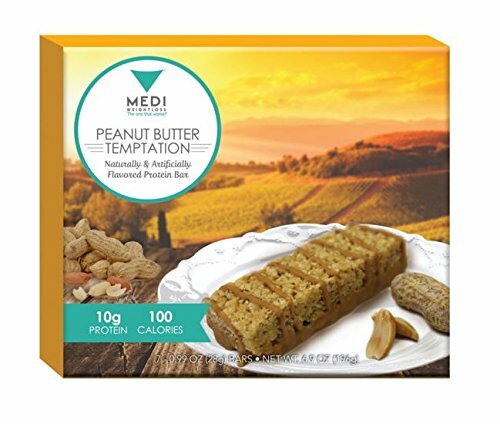 If you have any questions about this product by Medi-Weightloss, contact us by completing and submitting the form below. If you are looking for a specif part number, please include it with your message.